Total Concepts Construction can take the stress out of bathroom remodeling and give you beautiful results. When you work with Lou you are able to let him know your budget, your desires and definitely what you expect. Take a look at the results of this amazing bathroom remodel in Broken Arrow. We actually were able to create a unique, function, beautiful bathroom in a small space. 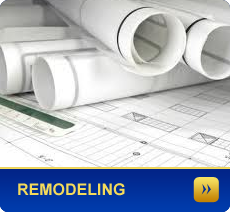 With many years of experience in bathroom remodeling Total Concepts Construction can help you with your remodel project! If you are looking to remodel your bathroom or any other room in your home give Lou a call 918-851-0584 for a custom quote. The spring rains bring on beautiful flowers and it is a time to turn over the soil and plant the garden what a wonderful time of the year, Easter is right around the corner and all the fun family times that it brings. Greetings, today I wanted to describe the construction of a typical screened in porch. I start with measuring the size of your existing porch reducing it to writing so that I can design the exact materials to customize your porch. Some of my clients like redwood others prefer a less expensive would like pine and fir. I always design the room according to your budget and according to the purpose for the room, while some of my clients are interested in resale value others just want the room to last a long time. When I select the wood for your project I hand select each piece from the large pile at the lumber wholesale company every piece of wood I use will have the right grain without being warped or curved, it is almost second nature for me now to be able to predict which would will stay straight over the years in which one will have a natural tendency to bow. After framing in for the screen sections I-frame in for a custom-made door which will last longer than the wire mesh we use on the screens themselves. The wire mash comes in five colors and has three different size on the mash. After selecting the color and the wire mesh size I then build the screen units themselves so they will be easily repaired in the future if some toy or ball smashes through the opening. Now I want to assure you that while all of this may sound very expensive I know the best places to make my purchases to keep your overall costs to a minimum when you are ready just contact me I will come out and measure and give you a no obligation quote for your custom screened in porch. Thank you sincerely Lewis…. Greetings friends, I’m just sitting here taking in the early morning sounds of nature while answering a few of the many emails that I get on a daily basis, let me read one that I just got from Beverly is a very brief but to the point, she writes Lewis I am enjoying my quiet time on the patio which as you remember you recently screened in for me. Most of the family is still asleep and my husband went to work early in the morning so I always try to get a few minutes alone to think about and plan my day. The screened in porch has proved to be the most viable room in my house thank you so much for your time and effort to customize your work to my home thank you again Beverly K.
Well after 30+ years in the business it is always refreshing to hear a customer who made the ideal purchase at the ideal time, I knew she was desperate to have a place where she could resort and gather her own thoughts, I helped design and construct this beautiful screened in porch which not only added value to her home but value to her life. When your work is as rewarding as mine a person should always take time to say thank you, so that is what I want to say today in response to my email clients as well as my future clients thank you for trusting me to do the improvements to your home at add value and quality of life. I greet you again sitting at my comfortable coffee bar on my back porch which has been screened in for my comfort and my enjoyment. On my days off I spend 1 to 3 hours each day listening to the birds and watching the squirrels play among the oak trees. Today however I am actually writing to you while sipping on my Colombian dark roast coffee. I don’t think I have ever enjoyed any room in my house more than I do this room, my 5 pound poodle sissy continues to move from her porch pad to my side in my easy chair. Sissy would love to go out and chase the squirrels or roll in the grass which is now beginning to turn green but I have not decided to allow her that freedom today. The wire on my porch is more than four years old and shows no age at all I know it will easily last another 15 or 20 years, it has a coating of vinyl plastic which keeps it from rusting or deteriorating in the evening sun. Again I would encourage you to check in to this soothing and almost heavenly atmosphere that I so much enjoy. Just pick up the phone and give me a call I will drive over and look at your porch and give you a simple quote. The benefits far surpass the costs and the enjoyment level is beyond description, so long for today I will be in touch soon with part three. As I sit here observing the skyline of the beautiful city of Broken Arrow I was thinking about my many customers over the years who have worked hard to pay for their homes or are in the process of paying off their mortgages, I too have just recently paid off my home and am thoroughly enjoying my screened in porch. I wanted to share with you from my vantage point and comfort of sitting on my back porch watching the winter season pass and spring beginning to reveal itself, the porch I have created for just such warm mornings as we had this past week I awoke to 71° and decided to have my morning coffee here on my back porch. I was thinking about all of my friends who have back porches but are unable to use them on the spur of the moment. The dust leaves them bugs seem to also like the back porches of our homes but since I screened mine in I walk out of my dining room directly onto my back porch, I am able to sit down and enjoy the quietness of the morning without needing to do any housekeeping whatsoever. We are offering great specials on kitchen remodels in Broken Arrow and Tulsa Oklahoma. At Total Concepts Construction we can remodel your kitchen and give you several upgrades at reasonable rates. With low overhead and quality craftsmanship we can pass on our savings to you the homeowner when you decide it is time to remodel your kitchen in Broken Arrow and Tulsa Oklahoma. From a simple kitchen remodel such as replacing/upgrading appliances and counter tops or a complete kitchen remodel replacing cabinets, appliances and counter tops. Total Concepts Construction can help you from drawings to completion for your dream kitchen remodel. For your Free Estimate on your kitchen remodel! Click Here for additional information and pictures of kitchen remodels. 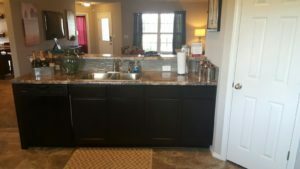 When you experience a home repair in Broken Arrow Oklahoma now you have a friend to help you fix the problem before it becomes a bigger problem. 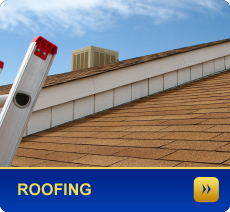 Total Concepts Construction is a licensed contractor that can help you with your home repairs in Broken Arrow. With winter coming you can count on Louis to fix any repairs around your home! No job is to big or small just give him a call and let him know what you need help with in your home. 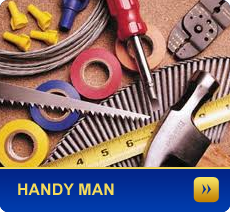 If he can not fix your home repair he will recommend the best company to help you with your repair. 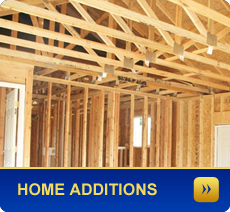 Click here for examples of Home Repairs in Broken Arrow that you may need! Greetings from the desk of Lewis Twist 918-851-0584, this has been a remarkable 30 day period we have had multiple storms and tornadoes in our city and communities in and around broken arrow and Tulsa. I have My men busy with small chores removing lambs and repairing rooftops siding and patio covers. Trying to reach out to as many of my previous clients and new ones alike. If you have received any damage to your home which will include the roofing and the fence please contact me and I will give you my personal attention and we will endeavor to restore all the damage to like new condition, again thank you were trusting us another year with the maintenance of your home and handyman projects. Greetings just a short note to remind everyone to update and refill your tornado shelter kits. If you do not have a kit or would like a kit component list just send me a short email and I will make sure you get that list. I have added a couple of new items to the kit to make your stay in your tornado shelter a little more comfortable, these have come to my attention by some of my clients that have purchased the shelter for their family and they are fabulous ideas and ambitions to be tornado shelter kit. As you know April and May was filled with tornadoes and so far we have escaped without the big F-4 or F5 coming on the scene, but the smaller ones can do just as much damage if you get a direct hit, which I do not believe that any of my family or clients will have to live through that event. I must say the other evening eight tornado came within a few blocks of my house and I was in my own personal shelter and I cannot describe the immense feeling of security that I had as I put the door security bolts in place, the peace and security is beyond putting a price on and I know how many of you must have felt.